WASHINGTON (FinalCall.com) – There is a reason why leaders in this country waged a “cold war” against neighboring Cuba after revolutionary forces led by Fidel Castro overthrew the corrupt, American-friendly dictatorship of Fulgencio Batista: they did not want the revolutionary ideas such as agrarian reform and socialism to spread to other Latin American and Caribbean countries, or to even take hold in the U.S.
After President Dwight Eisenhower rejected Cuban overtures for cooperation with the U.S., Cuban President Castro signed a commercial agreement with the Soviet Union in February 1960. One month later Mr. Eisenhower approved a CIA plan to train Cuban refugees to overthrow the Castro government. For seven years—from 1959 until 1966—U.S. 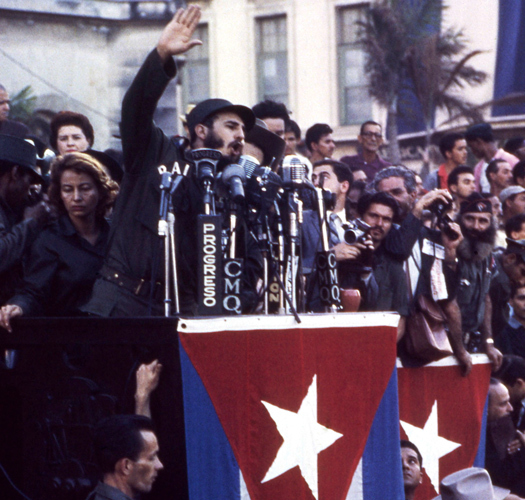 supported rebels fought an insurgency, attempting to overthrow the Cuban government, including the CIA-sponsored Bay of Pigs invasion on April 14, 1961 in which 1,400 Cuban exiles landed and were captured and defeated. Despite the crippling sanctions since the revolution, health care is now free in Cuba, education is free there, and life expectancy and literacy rates are well above those of other South American countries, rivaling those in this country. In 2012, life expectancy for example was 79.07 years in Cuba, but only 78.74 years in the U.S. In 1961, President Castro launched the “year of education,” and sent “literacy brigades” out into the countryside to construct schools, train new educators, and teach the predominately illiterate Guajiros (peasants) to read and write. The campaign was successful, and by the completion of the campaign, 707,212 adults were taught to read and write, raising the national literacy rate to 96 percent. U.S. literacy is 99 percent. 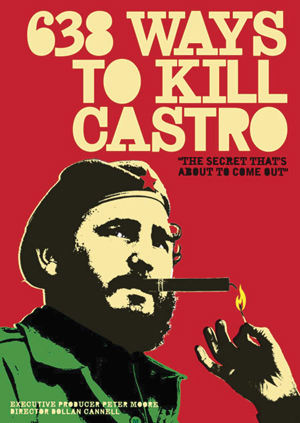 In a 2006 British documentary film called “638 Ways to Kill Castro,” produced by the U.K.’s Channel Four, multiple methods of attempted assassination were revealed, from exploding cigars, to would-be female seductresses; a radio station rigged with gaseous LSD, to a poison syringe disguised as a fountain pen. In the film, Fabian Escalante, the former head of the Intelligence Directorate and the man who had the job of protecting President Castro for many of the 49 years he was in power, alleges that there were more than 600 plots and conspiracies known to Cuban agents, all dreamt up to end Mr. Castro’s life. Some were perpetrated by the Central Intelligence Agency, especially during the first half of the 1960s. From the 1970s on, the attempts were most often made by Cuban exiles trained by the CIA shortly after the revolution in 1959. 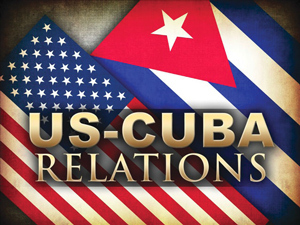 In addition to the trade embargo and sanctions, there is an “information embargo” which prevents accurate information about Cuba to reach people in this country. In September 1960 when Mr. Castro attended the United Nations General Assembly session, the decision of the Cuban delegation to stay at the Theresa Hotel in Harlem was the subject of much derision and humor, because the Cuban leader brought fresh chickens to kill and eat, lest his food be poisoned by American assassins. President Castro met with poet Langston Hughes, and the Honorable Elijah Muhammad’s national representative, Minister Malcolm X, during that visit. “I think that he was hated by this country because he symbolized so many things that if we tried to follow, would turn this country on its head,” Ellen Bernstein, former associate director of the Interreligious Foundation for Community Organization (IFCO) told The Final Call. “He was about free education, free health care. He was about a government that favored the dignity of the poor, and created a safety net for people.” Ms. Bernstein was literally enroute back to this country from a visit to Cuba when President Obama and Cuban President Raul Castro simultaneously announced the new diplomatic détente between the two countries. Led by the late Rev. Lucius Walker Jr., beginning in 1992 IFCO Pastors For Peace defied the U.S. embargo 24 times, with thousands of volunteers, delivering hundreds of tons of humanitarian aid—from powdered milk, medicine, bibles, bicycles, and school supplies on the first caravan, to computers and school buses at the end. The caravans—which often included Cuban exiles living in the U.S.—travelled throughout this country collecting donated supplies, before transiting to Cuba by way of Mexico. The participants in the caravans were literally “conscientious objectors to the embargo,” Ms. Bernstein said. 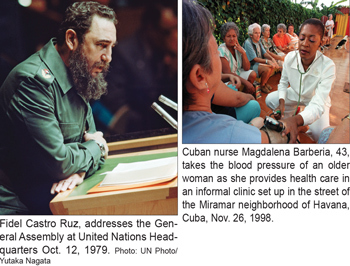 “(President Castro) was also about resisting the great power to the north, where so many other countries in the region, in order to accept loan packages from the IMF and the World Bank and the U.S. government, they changed their systems around, and started privatizing their schools and privatizing their hospitals, and Cuba refused to do that,” she continued. “Cuba said, even if it really makes us struggle, we value the system that is gonna be in favor of our people. “It’s really hard to get that message across in the United States. What you hear is about Fidel being the evil dictator, and Cuba being the prison for 11 million people, but if you spend any time in Cuba, what you find are people who are really well educated who wish they could be really more economically prosperous, but they feel that they’re participating in a system that is accomplishing something important. There is a nostalgic image of Cuba, as if the country is stuck in the past, with 1950s-vintage American cars, and a population waiting for U.S. fast food chains and U.S.-style “freedoms,” and a chance to sell their rum and famous cigars to American tourists. Instead, the country has been on the frontline, with both troops, but especially with doctors, in Africa—fighting Ebola and other diseases—and in Haiti. “The Cuban doctors who are working in West Africa, the Cuban doctors who work in Haiti, have much more experience than a lot of our doctors working in really minimal infrastructure conditions, but providing the highest quality of clinical care,” said Ms. Bernstein. “And you know students from the United States are benefitting from that training now and coming back to the U.S. to work and be physicians here. What Cuba has been doing in bio-technology, what Cuba has been doing in terms of environmental work, climate control, what Cuba has been doing in terms of many of its social programs: and what the Cubans always say about it is that they literally don’t have a lot of economic resources, they hardly have any, but what they have is human resources, and because they prize education and because they count on the ingenuity and the resistance of their people to keep inventing new solutions to things. 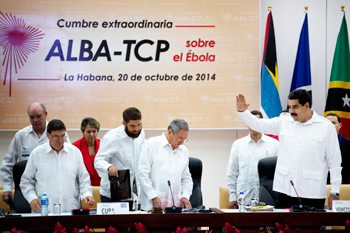 “Cuba is putting out a cholera vaccine next year. And Cuba has created vaccines against meningitis B and meningitis A, a lot of diseases that only come up in the more developing nations and the poorer countries where the U.S. and the big pharmaceutical companies don’t have an interest in making those products because they don’t see a market where they’re going to make any money. “I hope that the U.S. can come to a point where it can really listen and be in respectful dialogue with our Cuban neighbors, because we do have an awful lot to learn,” Ms. Bernstein said.